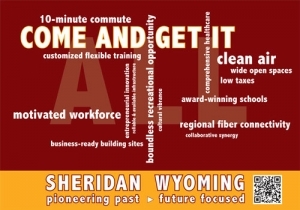 The Sheridan County Economic Development Task Force (EDTF) today launched a summer campaign focused on involving the community in attracting new businesses to Sheridan. 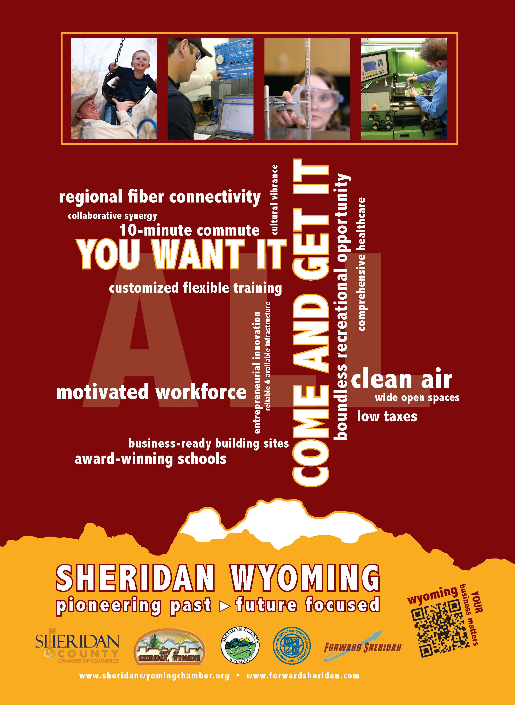 Made up of the City of Sheridan, Sheridan County, Sheridan County Chamber of Commerce, Forward Sheridan, Sheridan College, the Wyoming Business Council, and many other local organizations, the EDTF works in partnership to promote the incredible opportunities found in the Sheridan area with the goal of growing existing businesses and attracting new business to Sheridan. 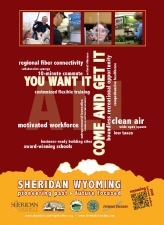 To get Sheridan’s story out to prospective businesses, the EDTF created a series of marketing materials to carry the central theme that Sheridan has all the assets a business looks for when relocating. You want it? 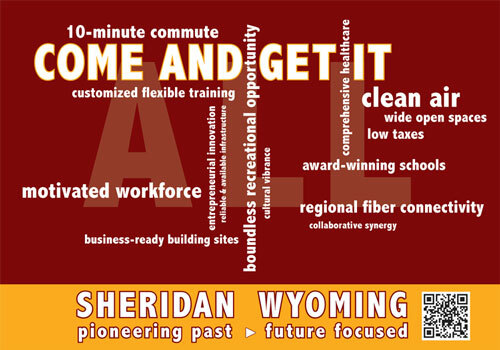 Come and get it ALL – in Sheridan. 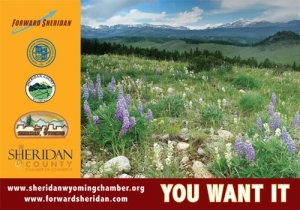 These materials include a promotional brochure containing economic and demographic information about the community, a smaller “calling card” for community members to provide to interested contacts, full-page advertisements in the Wyoming Images magazine distributed by the Wyoming Business Council and the Sheridan Press’ own Destination Sheridan, and a tabletop display for use at trade shows and conferences. 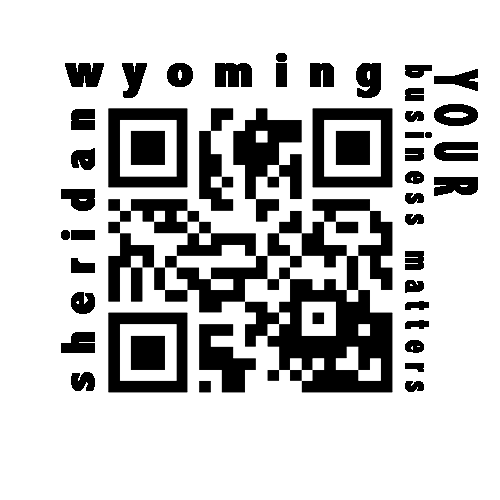 All materials carry a “quick response” (QR) code that when scanned with a smart phone takes the phone’s owner directly to up-to-date economic development and demographic information on the Chamber of Commerce website. 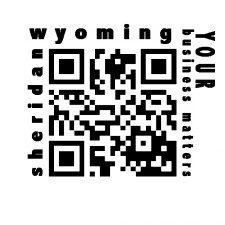 Updated quarterly in conjunction with the promotional brochure, the website information pushes through to the websites of the other EDTF partners, so that all sites always have concurrent and consistent information. The EDTF is inviting community members to get involved by carrying Sheridan calling cards along with their own business cards. Businesses are encouraged to participate by dedicating an 18” square of their tables at trade shows and conventions to a pop-up display of Main Street with a beautiful backdrop of the Bighorn Mountains. Once visitors have been drawn in by the beauty of the scenery, they can learn more about the wonderful place we call home via information available on and around the display. 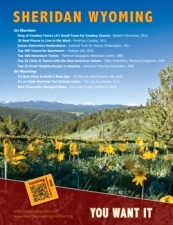 Calling cards or brochures may be obtained from any EDTF partner organization. Trade show table top displays are available to check out by calling the Chamber of Commerce (307) 672-2485 to arrange for delivery.